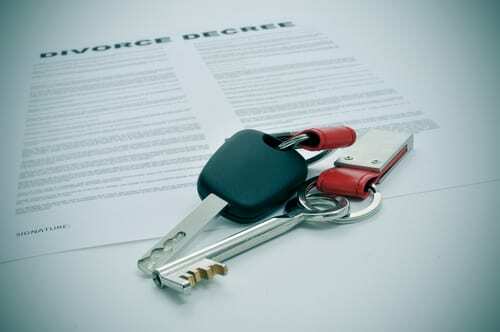 Property division is a sensitive issue in a divorce, and things can get heated quickly. Texas laws regarding property division are unique, and it’s important that you consult with an experienced Texas divorce lawyer to determine how the state’s property division laws will affect you and your divorce. In Texas, everything that is acquired during the marriage — including property, income, and even debts — is considered “community” or marital property. Property that is held by either spouse is considered community property and must be divided equally between the spouses in a divorce. If a spouse wishes to keep property that he or she believes to be separate, it must be proven to the court beyond a doubt that the property is indeed separate. Texas, and many other states, consider separate property to be anything that one spouse owned prior to the marriage, as well as gifts or inheritances that were obtained during the marriage. However, since Texas considers all property acquired during the marriage to be community property, it is critical that you have evidence to support that your property is indeed separate. In some cases, certain property or assets may be split and a portion of it will be considered community property and a portion of it will be considered separate property. If you have questions about what property of yours will be considered community or separate by the court, contact an experienced Corpus Christi divorce lawyer. There are many more ways to distribute community property in a Texas divorce than just splitting it down the middle and giving half to each spouse. Spouses can “trade” property that is of equal or similar value, or one spouse can “buy out” the other spouse’s share in a particular piece of property. Spouses can make their own decisions about how they want to split the property and can submit a written agreement to a Texas court for approval. However, the court reserves the right to distribute community property in a way that they see fit. How your marital property is divided during a divorce can have a significant impact on your life following the divorce. In order to protect your claim over property that is rightfully yours and to ensure that you are able to provide for yourself and your loved ones after the divorce is final, you need to work with an experienced Texas divorce attorney. At the Bourlon Law Firm, we understand that the laws surrounding property division can be complex. That’s why we’re dedicated to providing our clients with seasoned, comprehensive legal representation throughout their case. Contact us today to schedule a consultation to discuss your legal needs by calling (361) 289-6040.